Car Tinting Malaysia is basically the process of utilising films or laminate into our glass interior. Most people usually do this in order to reduce the glaring effect, UV and of course the heat. In most cases, the company use polyester in manufacturing auto film Malaysia because of its clarity and durability. 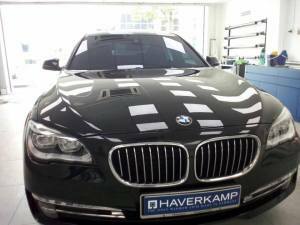 Perhaps one of the best auto window films that you can use to enhance your glass features would be Haverkamp SL. Their products are manufactured using an excellent level of standard. Aside from the fact that it can reduce the amount of sunlight and UV rays it also prevent the premature depreciation of your car by averting the fading of your interior. To give you a sneak peek about the different types of SL window tint films, we decided to create a comprehensive guide that will help you decide which film is suitable for your needs. The SL Best Bond is constructed using the multi-layer film innovation. Its main function is to manage the ideal heat in your car’s interior. This auto film Malaysia also has the capacity to decrease the load of our AC which ultimately results to a decreased consumption of fuel and CO2 emission. It can reflect more than 99% of the UV rays that may compromise the quality of our interior. It also gives you an unmatched privacy protection, and it reduces the glaring that will allow you to properly monitor your rears. It also adds value in terms of aesthetic appeal. Just like the Best Bond, the SL Royal Bond can also reduce the amount of heat in your car’s interior. It can also improve your privacy especially if you ask the tinted shop Malaysia to use darker tint. In terms of aesthetic styling, the SL Royal Bon is truly unparalleled. Pure Bond is a window tint film Malaysia that is designed for all types of car. It also provides a high level of privacy and glare protection. In addition, it can also repel almost 99% of the UV rays. Its capacity to reflect the UV rays will also allow you to achieve a desirable level of temperature inside your car. It is a non-fading type that you will enjoy for the years to come. It has a scratch-resistant surface, and it highlights a high-class optical property. This Auto film Malaysia exudes luxury that is available in a huge selection of tint. All colours of tint provide the same level of privacy, UV and heat protection. It can also be used in a wide range of vehicles. With its ability to deflect the heat, you will be using the AC unit less frequently which reduce your fuel consumption. In case you want to add some value to your car and protect your investment, you should consider adding window tint film Malaysia to your car. It can give you protection against heat, UV radiation and glaring which will make your driving experience more comfortable. It can also be used to improve the aesthetic appeal of your vehicle. Most car owners like to have their windows tinted, especially during summer. They have different reasons to do so. Some love the privacy that car tints bring, while others do it to make the interior temperature cooler. However, car things are not made equal. There are different types to choose from. 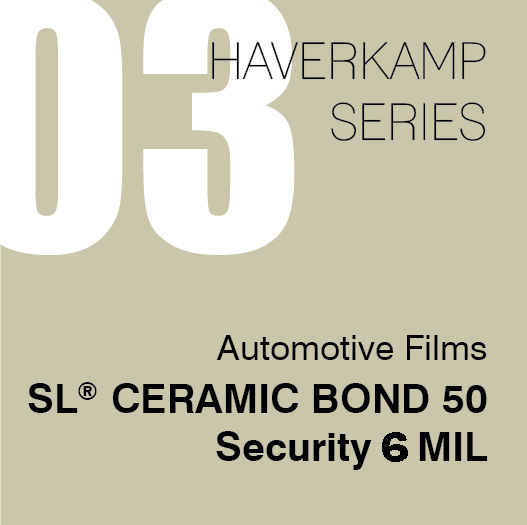 When it comes to controlling the interior temperature, nothing beats Haverkamp SL Ceramic Bond Tinting Film in Malaysia. While metallic tints do minimise visibility inside the car, ceramic window tint provides better heat resistance without affecting the visibility. This makes it a safer car for kids. The latter is recommended for car owners wanting more heat reduction without sacrificing the visibility. 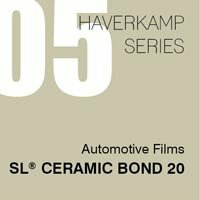 What is Haverkamp SL Ceramic Bond Tinting Film? 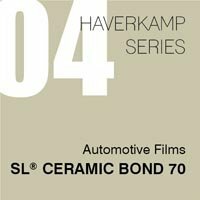 Haverkamp SL Ceramic Bond is a high-class car film with nano-ceramic coating. You can have it installed by a solar windows film Malaysia supplier. It was designed to provide optimal heat rejection that is more effective than metallic car tints. The SL Ceramic Bond also has the best IR shielding among car tints on the market today. It can shield up to 95 percent of inferred rays, and at the same time allow transmittance of light of up to 70 percent. While it provides better protection against infrared rays, it is neutral for technical signals, such as mobiles and GPS. It will not interfere with your mobile phones signal at all. There are lots of advantages of using the SL Ceramic Tint from Haverkamp. The first one is that it uses advanced technologies to lower the ultraviolet rays by up to 80 percent. And at the same time, it doesn’t compromise the dyes. The colours will not fade for a long period of time. 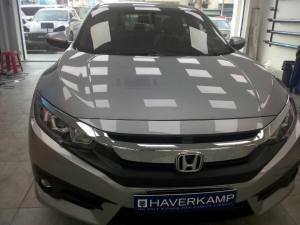 When you have it installed by a reputable car tinted Malaysia company, the cost of Haverkamp SL is just around 20 to 25 percent more compared to metallic car tints. However, the ceramic window tint doesn’t darken the glass, which makes it a good choice for people who don’t like their windows to be too dark. 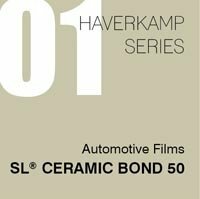 The Haverkamp SL Ceramic Bond Tinting Film is recommended for the value conscious consumers who look for quality in the materials. Not only that, but also it helps maintain the aesthetic value of the car and at the same time help in controlling the temperature of the interior. You’ll save a lot more on air conditioning, which in turn results to fuel savings. 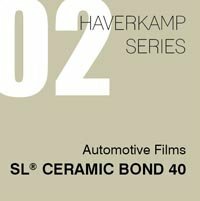 Among the tinted film Malaysia, choose Haverkamp SL Ceramic Bond Tinting Film. It is the high-end solution to your car tinting requirements. The modern nanotechnology provides better cooling efficiency, as well as more natural light coming from the outside. It reduces the reflectivity of the glass by maximising the heat from infrared rays. As a result, you’ll get less heat and more light. 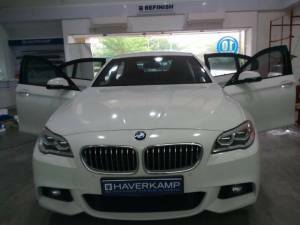 To be sure that you got authentic Haverkamp SL Ceramic Bond Tinting Film installed, contact a reputable ceramic tinting film Malaysia installer. They provide world class car tints and services and help you out with the procedure. What is Nano-Technology Ceramic Tinting Film ? With the use of nanotechnology car tinted Malaysia Company has managed to create ceramic tinting film Malaysia that can help you stay protected and safe from all types of danger from the exterior environment. These ceramic films are truly invisible to the human eye; therefore they will not deprive you of any actual sighting during your driving or from the inside of your house. On the contrary, the addition of a ceramic film will actually improve your view and make things more clearly to you. If you have tried some other films in the past, then you are probably concerned about the different colours it might expose or the often blurry sight that you can spot especially on the edges. The ceramic film will retain the same colours as usual and will continue to look good, no matter how many years will pass. If you choose these highly reliable films, you will soon find out that they can offer you an amazing quality and heat reduction that will not decrease over the years. This is a true investment for your house or yours automotive. This ceramic tinting film Malaysia offers an advanced technology that is able to reject 59% of the total solar energy that your house has to suffer from. In addition, these films can actually retain great visibility options while keeping you safe from more than 80% of all the infrared rays. Unlike many other popular films, the solar windows film Malaysia allows you to stay connected with the outside world since they don’t prevent the GPS or any other signal to enter your house. When it comes to the dangerous effects of UV light, you will be impressed by this tinted film Malaysia that is capable of blocking up to 99% of this light. If you want to make your car tinted Malaysia, this is the best way to keep you and all of your passengers protected. When you and your family spent a lot of time inside your car, you need to be sure that all of you remain protected from all the harmful properties of the sun. With the tinted film Malaysia, you will have the opportunity of staying protected and comfortable, protecting at the same time the interior comforts of your car. Since 1966, the main goal of this car tinted Malaysia Company is to create the most innovative and sun control window films. Pay a visit to the store and find the best options for you, your house or your car. Of course, in every different province or state, the laws may vary when it comes to car film. Make sure you stay informed in order to be able to make the adjustments you want, without stepping out of your city’s regulations. Improve your solar windows film Malaysia and offer to you, your family and your car a precious gift.